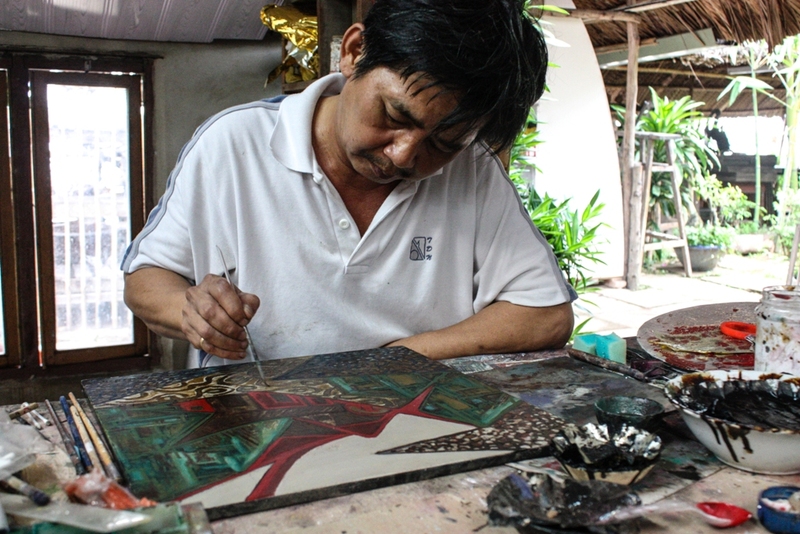 Visitors to Vietnam will likely notice the artistic use of lacquerware in everything from paintings and wall hangings to pencil holders and jewelry boxes. 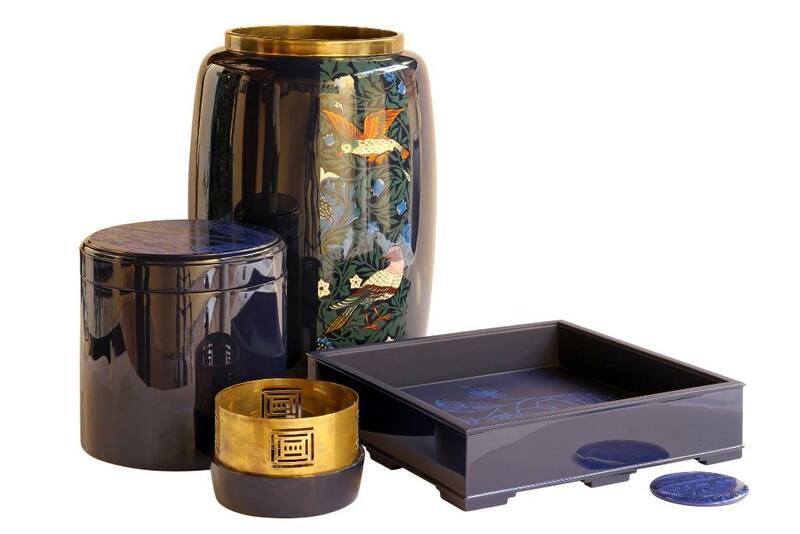 The art of lacquerware dates back to China some 10,000 years ago. 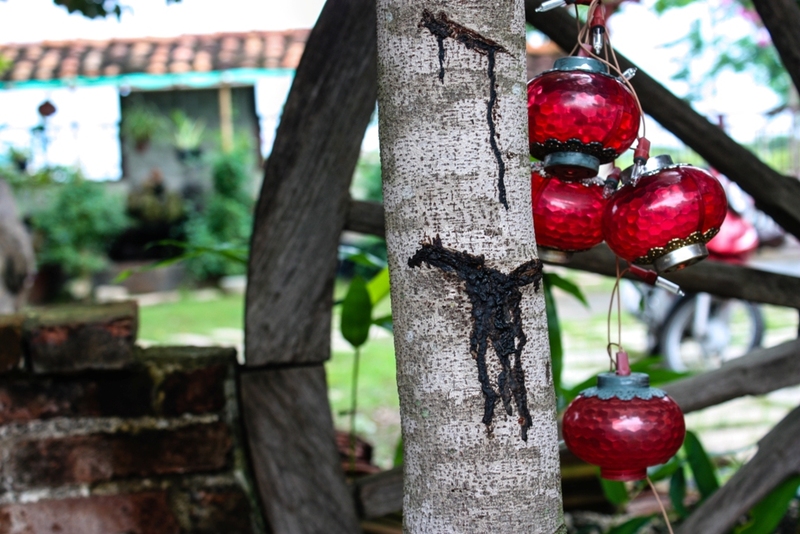 Lacquer is a natural substance, the toxic sap from a lacquer tree. Long ago, people noticed that this sticky sap was like a natural plastic and could be used to coat objects. Because it hardened after contact with air, it created a hard shell, resistant to heat and moisture. Originally, lacquerware was more functional – used to coat furniture, pottery and other household items for durability. In time, lacquerware took on an artistic quality. 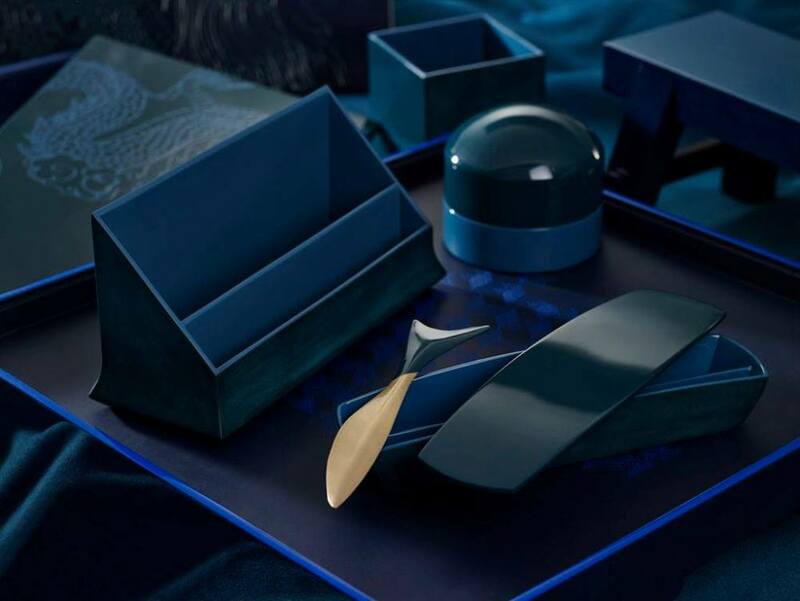 While imitation lacquerware has crept into the market, genuine lacquerware is prized for being time- and labor-intensive, a work of art possibly taking hundreds of hours to complete. First, mature lacquer trees are tapped for their sap. The fact that the sap only runs in the early morning hours in the months of June and July only adds to its value. It is then gently heated to remove excess moisture and impurities. 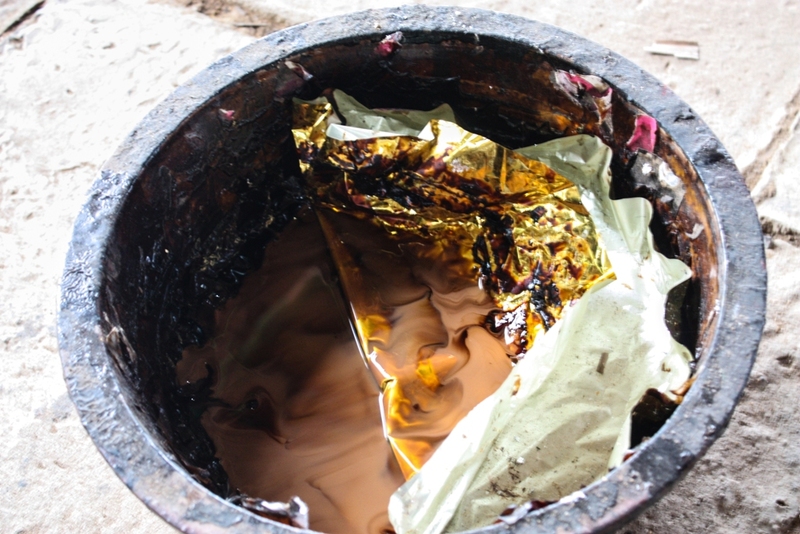 The sap can be mixed with pigments to add color. 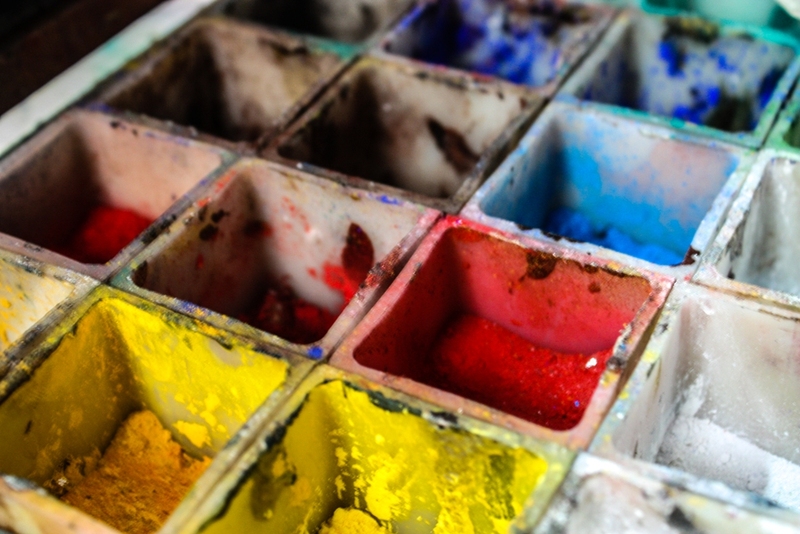 Early on, charcoal or cinnabar was added to produce black and red hues. 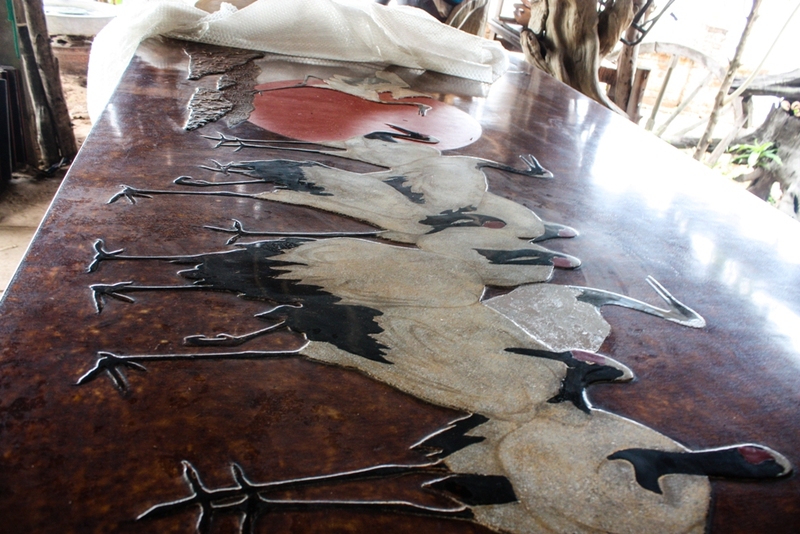 Thin layers of lacquer are applied, with days in between to dry. Some pieces have dozens of layers, meaning a single piece can take many months. 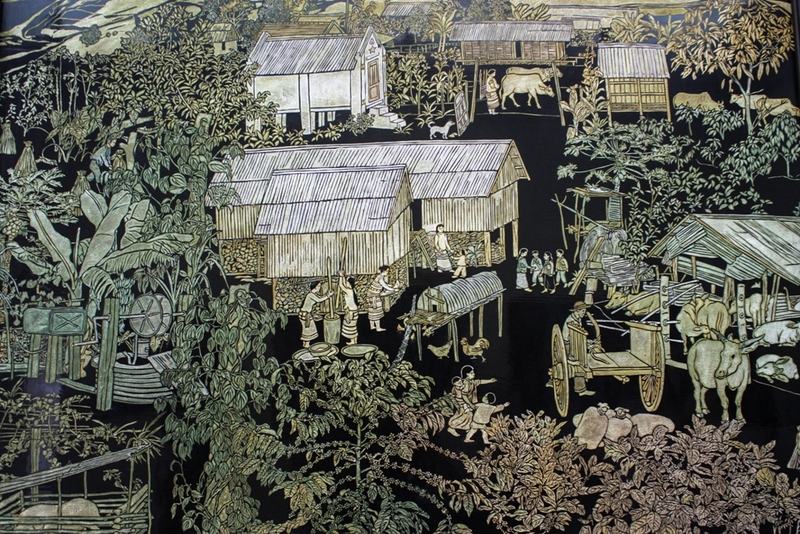 In Vietnam, lacquerware is called “sơn mài” and was revitalized at the Ecole des Beaux Arts established under French colonial rule in the early 20th century in Hanoi. 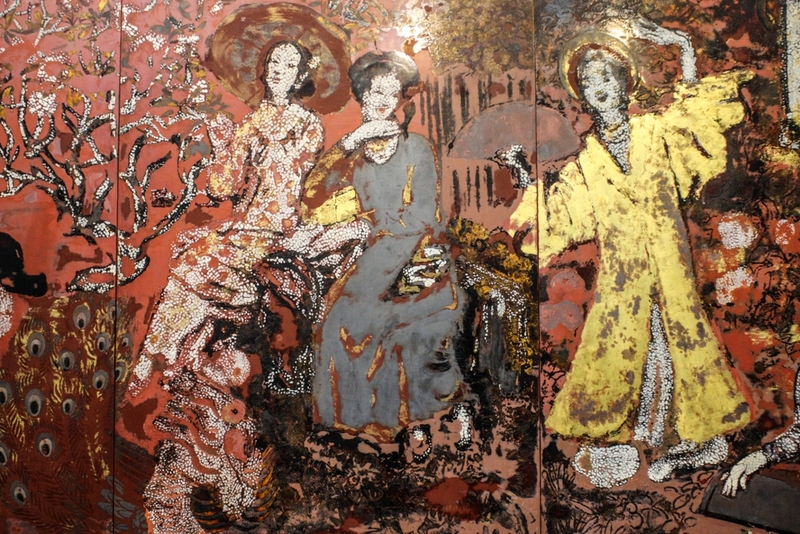 Famous Vietnamese artists quickly took to the medium, elevating the craft into fine art, and introducing other decorative materials into their works including sand, crushed eggshell and gold and tin leaf to produce a metallic effect. Today’s artisans continue to develop this art, inlaying mother of pearl and other precious materials for an innovative take on an ancient craft. 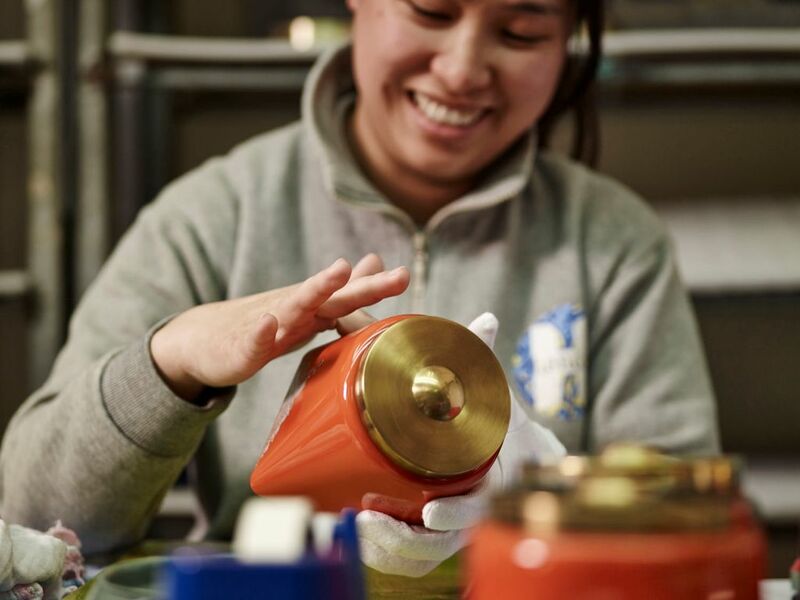 At the forefront of Vietnam’s high-end lacquer industry is Hanoia, first established in 1997 in Binh Duong Province, near Saigon. The company uses traditional methods of production employed by local craftsmen combined more modern materials including paper mache, pearl, silk, pottery and glassware to create high-end souvenirs, trendy jewelry and luxury decorative objects. 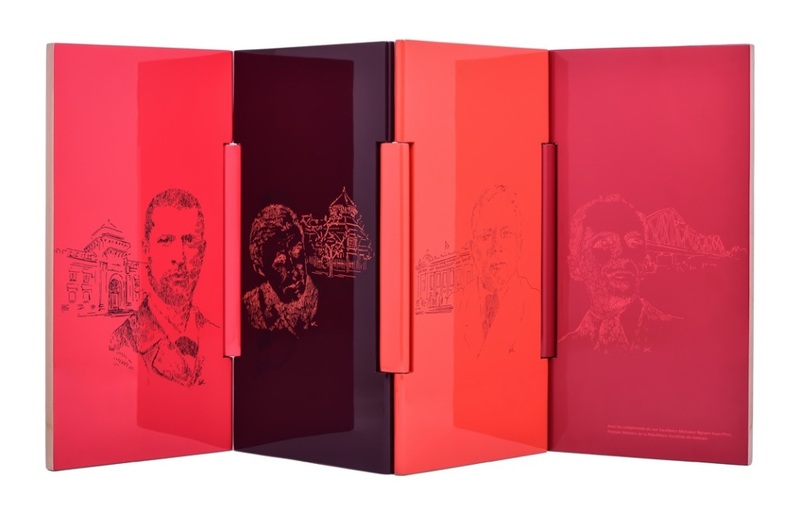 In September 2016, Hanoia were commissioned to create a unique gift for the visiting French President Francois Hollande and came up with a beautiful yet meaningful design of four panels of lacquered wood and gold leaf depicting four French intellectuals who have played a significant role in Vietnam’s history. Victoria Hotels & Resorts is proud to support local artists, including Hanoia. Visit the boutique at Victoria Hoi An Beach Resort & Spa for a selection of Hanoia products. If you’re in Ho Chi Minh City, The Ho Chi Minh City Fine Arts Museum also has an excellent collection of lacquerware. The museum is housed in a 1929 French colonial-era villa and is open Tuesday to Sunday from 9:00am – 4:45pm. Admission is VND 10,000. The museum is located at 97A Duc Chinh in downtown Saigon, just a few blocks from the traffic circle in front of the Ben Thanh Market. Summer. Sea. Sand. Victoria. Celebrating Tet Vietnamese Style! Sorry, but we’re really not sure. It’d most likely be available at the actual workshops, but these usually aren’t located right in the city. Best of luck!